You want to swoon? Then read this book, because that's pretty much all I've been doing while reading the novel. And then I went even further, hugging the book several times, and once even kissing it. I'm sorry but it was that good; it got me remembering the first two novels, and I suppose kissing the book was the only way (at the time) to show my appreciation of the story. 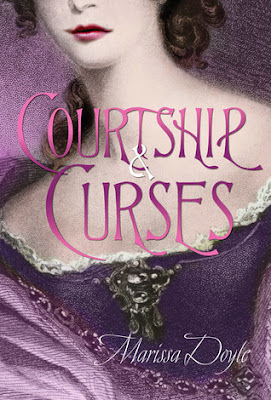 If you're fond of stories that take place during the London Season, or have already read and fallen in love with the first two books in the Leland Sisters series, then don't even hesitate to start this. I admit it took me a while to get the nerve to read this - because I'm so used to being disappointed, you see - but once I did I read it in one sitting. The characters were wonderful, the setting was wonderful, and the mystery was wonderful, though I totally knew who the culprit was waaaaaaay before the characters figured it out. Still, it's a great feeling getting to the end of a story and realizing that you were right all along; it kind of makes you feel like Sherlock Holmes, and it's also a great self-esteem booster. Unlike the other books, the third novel doesn't feature a Leland sister, but instead a cousin of the family. However, one of the Leland brothers is in the story, and that sure does bring back memories. While I didn't love Perry as much as I did the other two men from 'Bewitching Season' and 'Betraying Season', there were still plenty of swoon-worthy lines and scenes, and I was still a wretched, love-struck mess after reading the novel. Even so, I don't think I'll be reading the next book, well, the novella really. The synopsis sounds weird to say the least, and I'd rather stick with a for-sure happy ending to the beloved series than try my hand at a novella told in the point of view of a boy who personally doesn't sound too interesting. And that is literally all I can says about the book, since there's not much to talk about without fangirling about the other two books (I think I've said those three words at least 3 times now). I'm not sure 'Courtship & Curses' would be loved as a stand-alone since it's just an average story about a girl with magic during the London Season, but it's the similarities between this and the other two books (make that 4 times) that makes it special. While I'll love this series forever and always, I think I'd recommend this book for middle grade readers more than anyone else. Book Synopsis: From the author of 'Bewitching Season' and 'Betraying Season' comes a brand new regency romance with plenty of intrigue--and magic! Sophie’s entrance into London society isn’t what she thought it would be: Mama isn’t there to guide her. Papa is buried in his work fighting Napoleon. And worst of all, the illness that left her with a limp, unable to dance at the Season's balls, also took away her magic. When the dashing Lord Woodbridge starts showing an interest in Sophie, she wants to believe it's genuine, but she can't be sure he's feeling anything more than pity. Sophie's problems escalate when someone uses magic to attack Papa at the Whistons' ball and it soon becomes clear that all the members of the War Office are being targeted. Can Sophie regain her own powers, find her balance, make a match--and save England? Find out in Marissa Doyle's 'Courtship and Curses'! Source: Borrowed the hardcover from the public library.